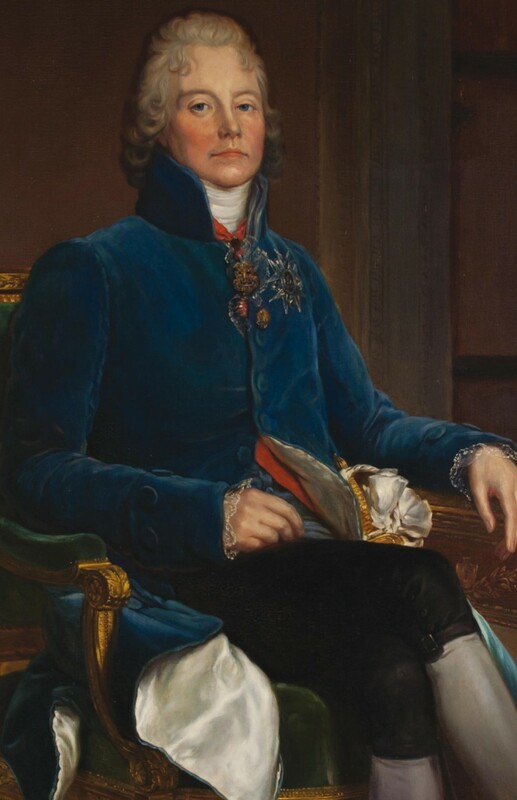 Cultivated and highly intelligent, Prince de Talleyrand was a very gifted and versatile man. Well known for his involvement in events that occurred in France from the revolutionary period to the reign of Louis-Philippe, he was also a great active and influential lord in his domain of Valençay. became Prince of Benevento, the name of a city taken from the Pope, in 1806. Copy of a portrait by François Gérard, in 1808. A key player in the history of France and Europe, Talleyrand will forever be a fascinating controversial figure. So much for his great diplomatic skills as for his amazing ability to adjust to different regimes that occupied the political scene of his time. lover and wife of Talleyrand. Copy of her portrait by Elisabeth Vigée-Lebrun. 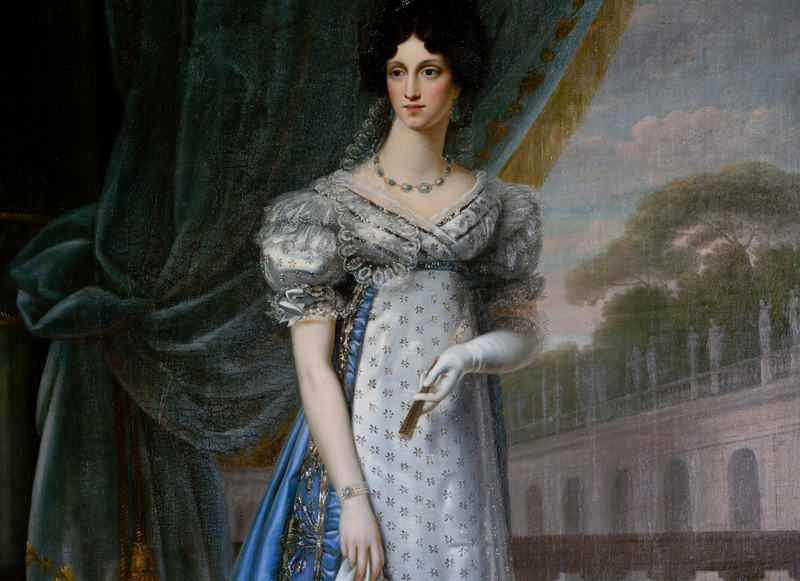 Smarter than most people thought, the beautiful Catherine had an adventurous life of a divorced women and then settled down before seducing Charles-Maurice during the time of the Directory. Naturally, some doors were closed to her for the sake of morality, and the reasons for which Napoleon’s Minister married her in 1802 remain the subject of debate for historians. Their union was never recognized by the Pope and they decided to legally separate during the Restoration. Although Charles-Maurice’s ability to anticipate most likely saved his life and allowed him to pursue a long and brilliant diplomatic career that eventually made him famous, he was unable to convince the leaders of his time. In addition to his ability to adapt to the alternating regimes, he always tried to express his own personal political thought. Hostile towards absolutism, censorship, regulations that hindered the development of France and war, his ideas were rooted in the philosophy of the Enlightenment. These ideas carried the excitement from previous decades before the Revolution (in 1789, when he was 35 years old) in all directions and influenced his youth and training. Cultural, intellectual, economic, administrative and scientific enthusiasm, while for the first time, the French population rose from 22 million under the reign of Louis XIV to 28.5 million under the reign of Louis XVI. Curious about everything, Talleyrand was an 18th century type of liberal, in that he defended the freedom to learn, think, speak, trade and seek the best life possible. This “art of living” before the French Revolution that he searched for his entire life required a significant amount of wealth. Born to a poor aristocratic family, Charles-Maurice had been interested in financial issues since he was a young boy. Through visits with entrepreneurs and bankers, his position as agent-general of the clergy and his work with Minister Calonne on the disastrous finances of the State, he became a great businessman who never hesitated to invest in companies or take a chance on real estate. Foreign Minister under several regimes, he coordinated negotiations to benefit both parties, practicing the “art of diplomacy” that we might call today the “art of bribing”. His self-made fortune allowed him to live lavishly. And also acquire, embellish and maintain an area as important as that of Valençay. 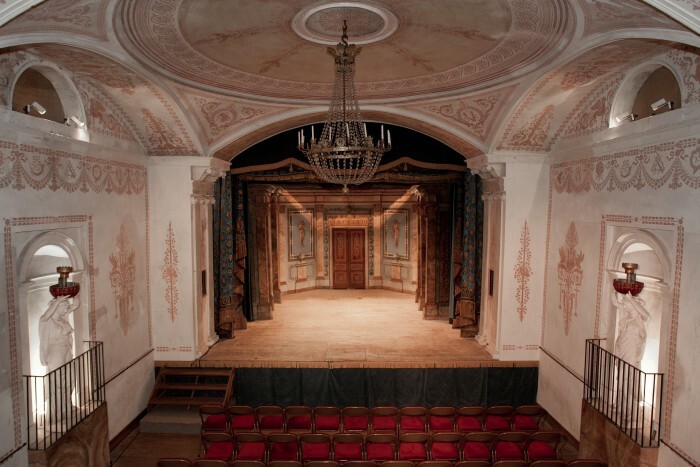 At the request of Emperor Napoleon, Talleyrand built a theatre, inaugurated on 30 March 1810, to entertain the princes of Spain in assigned residence in Valençay. It hosted many performances. The music was provided by Jan-Ladislav Dussek (1760-1812), a famous Czech composer and great European artist. In this theatre unique in the Loire Valley, sets and backdrops were also preserved. The Talleyrand Festival is held here every two years. Napoleon takes princes as prisoners. Acquired in 1803, at the request and with the financial assistance of Bonaparte, based on what Dorothea of Courland will eventually bring later on, the area of 12,000 hectares then included the châteaux of Valençay, Luçay and Veuil. Talleyrand seldom visited his domain after he acquired it because the Emperor monopolized his time and brought him along on his European expeditions. Nevertheless, he continued to renovate it and eventually built servants’ quarters and rearranged the gardens, park and vegetable patch. In turbulent times during the Peninsular War, which he openly disapproved after encouraging it, he returned home, still by order of the Emperor, to host the princes of Spain, as a prison guard! As part of his job, he made strict regulations that required perfect knowledge of proper etiquette. He cared about their comfort and entertainment, throughout their six years of captivity, even though he was often absent and had no affinity with them. Yet it was for them, and on the suggestion of Napoleon, that he built the theatre that can be visited today. “It is not rest that I need, but freedom. was the beloved and esteemed friend of Charles-Maurice de Talleyrand. Thirty nine years apart, she was the wife of Edmond, the nephew of Charles-Maurice, who was her mother’s lover. But at the Congress of Vienna, where she represented her uncle’s embassy, love triumphed over all. 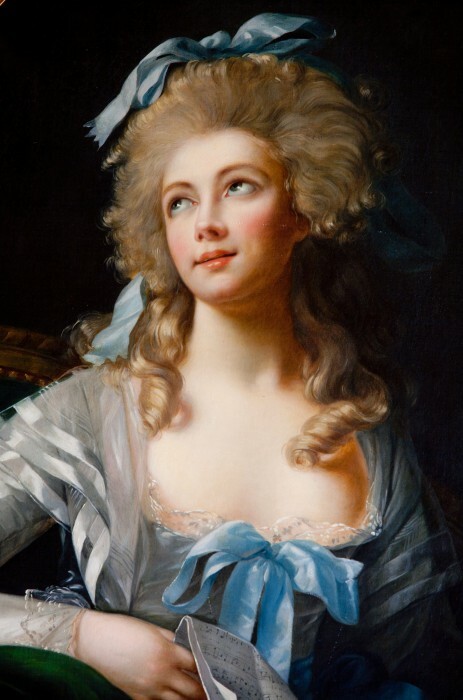 A few months after returning to France, this beautiful and well-educated woman, who was considered a “mastermind” by several contemporaries, soon became his companion, his most beloved friend and his most trusted advisor in several areas, including diplomatic affairs. Aside from a few passionate liaisons, she stayed by his side until his death, for he was the only man who truly understood and protected her. The return of Charles-Maurice: Freedom in Valençay! 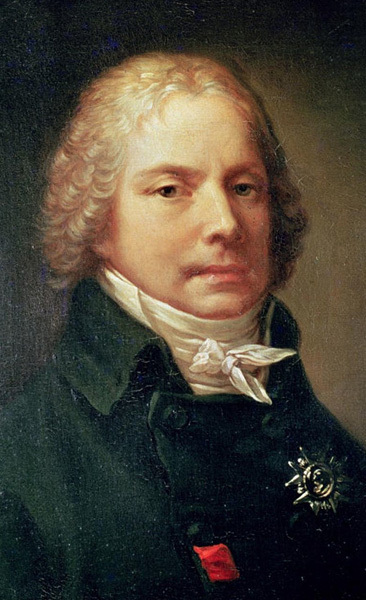 Dismissed from office by Louis XVIII for crime of liberal opinion, despite all the services he provided, Talleyrand returned to Valençay during the Restoration. From then on, except during his mission in England for Louis-Philippe, he spent every summer and autumn here until the opening of the chambers. Always very active and resourceful, he took care of his estate, hosted friends, read, wrote and meditated. This man, who contributed to the rise of Napoleon Bonaparte and the Bourbon Restoration, who saved France from an imminent disaster at the Congress of Vienna, was continuously obsessed by an idea of which he had tried to convince Louis XVI. An idea against the Emperor’s desire for power and victory. Against the present and future temptation of absolute rule by the king and his ignorant partisans. This idea that encouraged the establishment of a constitutional and diplomatic monarchy, as in the case of Great Britain, did not appeal to government leaders who had to resort to his services. However, his desire for freedom, justice and prosperity, already present among Talleyrand’s favorite philosophers such as Montesquieu and Voltaire, found fertile ground in the vast estate of Valençay. In 1825, the prefect of Indre wrote to his minister: “There are no beggars or poor people in Valençay for Prince de Talleyrand established workshops where there is work for people of all ages.” Talleyrand also handed out different types of assistance. A charity office and a house of charity, where religious sisters taught young girls, helped the sick. Donated land to build a town hall, a legal institution, a school for boys… Certainly, this was still far from the equality described in the Declaration of the Rights of Man and of the Citizen, of which he wrote article 6. However, it reflects this stoic man’s awareness and conviction in public life. A man exposed by his artistic and literary tastes and whose quick mind, eloquence and delicate way of expressing his emotions captivated his closest friends. Born in Paris into an aristocratic family. His parents had important responsibilities in the Court of Louis xv. Born with a club-foot, caused by a birth defect (Marfan syndrome). Stripped of his birthright by his parents due to his disability, he was preordained to the priesthood instead of being lead towards a military career. Appointed Bishop of Autun and representative of the clergy at the Estates General where he became a member of the Constitution Committee of the National Assembly. Diplomat in London, returned to France, left again and retired to the United States in 1794. Minister of Foreign Affairs of the French Directory. Took part in the coup d’état of 18 Brumaire. Minister of Foreign Affairs under the Consulat and then the French Empire. Appointed Grand Chamberlain of Napoleon and given the title Prince of Benevento..
to decline. Abandoned his portfolio. Became the advisor of Louis xviii, president of the temporary government, finalised the Constitutional Charter, and appointed Minister of Foreign Affairs. at the Congress of Vienna. President of the council under the Second Restoration. “Fired” by Louis XVIII. the treaty of alliance between Spain, Portugal, England and France. Funeral service held in Valençay.